Evolution Motorsports Titanium Valves are a direct replacement for the OEM stainless valves. Evolution Motorsports Titanium Valves are about 40% lighter than the OEM units which reduces valve train drag and wear while increasing valve action for better revving. 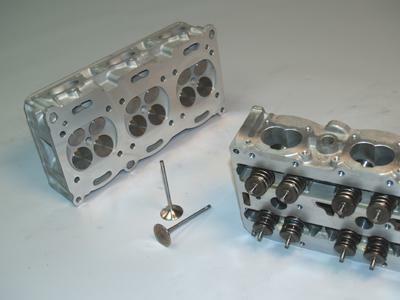 Evolution Motorsports Titanium Valves are manufactured by the best in the industry who also manufacture valves for the best in the industry including winning race teams in Formula One, NASCAR, CART, IRL, World Rally, LeMans, Drag, APBA and more. Our innovation and desire to build the best products in the world helped shape projects/products like these.